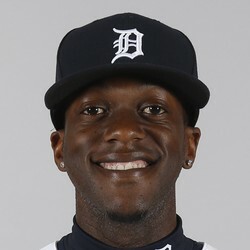 The Cleveland Indians have signed free agent Cameron Maybin to a minor league contract. For now, Maybin has been assigned to Triple-A Columbus. Released by the Giants following the conclusion of Spring Training, Maybin is no fantasy asset currently, as he has been optioned to Triple-A. Even if Maybin gets the call up, he is a career .254 hitter, with a ceiling of around 10 home runs, 15 steals and 25 RBI's - and that is if he plays on regular basis. Last year with Seattle, Maybin appeared in 30 games and slashed .242/.289/.319 in 97 plate appearances.